When the kids are dismissed from school on early release days bring them to the Arts Council of Lake Oswego for family art making events. The Arts Council of Lake Oswego (ACLO) is bringing back the popular Family Art Making events in 2019. The programs are free to the public, with a suggested donation to cover supplies. 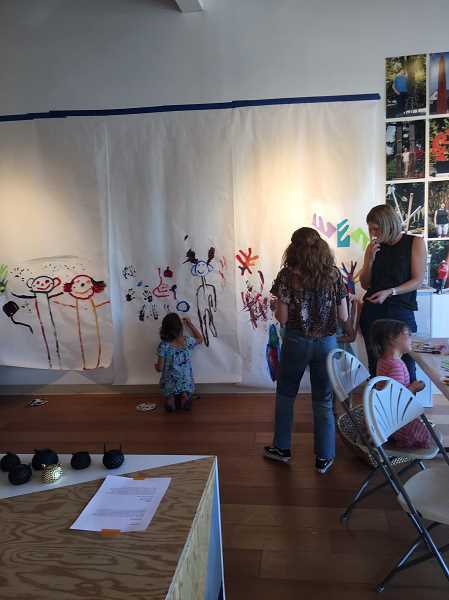 "We are excited to have Family Art Making available to the community on the fourth Thursday of the month," said ACLO Executive Director Nicole Nathan. "It features specialized projects designed for parents and children to participate in and compliments our exhibition on view. We encourage families to utilize the drop-in format for an afternoon of family fun." The ACLO offices and ARTspace Museum and Gallery is located at 510-520 First St., Lake Oswego. For hours and more information visit artscouncillo.org or call 503-675-3738.